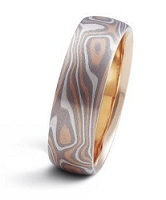 Precious metal patterns are what Mokume is all about. Here are some of our most popular styles used frequently in our website. No two rings are ever the same. 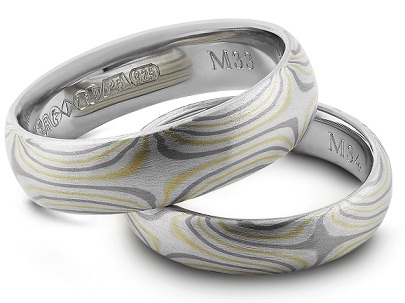 As an offshoot of the Twisted pattern, this styles brings some symmetry to the fold of metals. 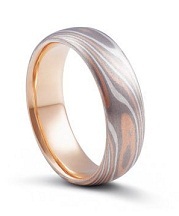 Below you can find a complete list of what precious metals are used in each Jason Ree Mokume combination.